Futon County, OHIO (WTVG) – A Fulton County Sheriff’s deputy and K9 deputy Fazzo are getting a new SUV thanks to your support. The photo of the pair had the most votes nationwide. The group Vested Interest in K9s launched a contest last month. Sheriff’s and police departments across the country took part in a photo contest and whoever had the most votes won a new SUV. The photo featuring Deputy Galbraith and K9 Fazzo in action. The SUV will give the K9 teams another way to work together while fighting crime. Wauseon, OH – November 6, 2018 – Fulton County Sheriff’s Office team of Deputy Justin Galbraith and K9 Fazzo have been named as the winners in the Vested Interest in K9s, Inc. – K9 Law Enforcement Sports Utility Vehicle Giveaway. 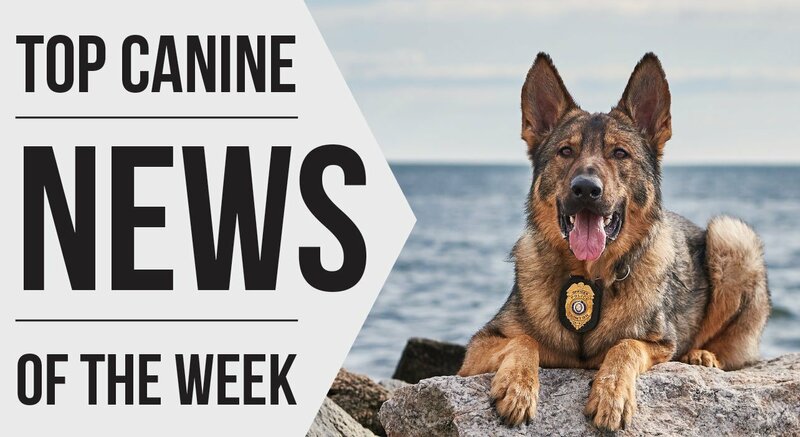 Thirty K9 teams nationwide competed for public votes one per 24 hours for the entire month of October to win a new Chevy Tahoe SUV with Police Pursuit Package and additional K9 unit customizations – a prize worth up to $50,000. “We were delighted to see the support nationwide that the Law Enforcement teams received throughout the SUV Giveaway contest. Our commitment is to protect our nations K9s and this is just one more way we can accomplish this goal” said Sandy Marcal, President of Vested Interest in K9s, Inc.
Out of the 158,448 votes cast, 35,910 went to Deputy Galbraith and Fazzo as a result of their nationwide efforts, through their daily appeals in October via social media in a series of automated videos including Fazzo, a lip sync production that went viral and an outreach to make Fazzo’s birthday wish come true by casting their votes on his 5th birthday on October 29. The team received national support via public appearances on NBC 24, WTOL 11, ABC 13, WSXY ABC 6 and “My Day” live morning show. “The new Chevy Tahoe will benefit our office tremendously. K9 units carry a lot of equipment and this vehicle will allow Deputy Galbraith and Fazzo ample space. More importantly, the vehicle will help Deputy Galbraith and Fazzo accomplish their daily tasks, which can often be dangerous’ commented Sheriff Roy Miller. Vested Interest in K9s, Inc. is a 501c (3) charity, located in East Taunton, MA. Their mission is to provide bullet and stab protective vests and other assistance to dogs of law enforcement and related agencies throughout the United States. The non-profit was established in 2009 to assist law enforcement agencies with this potentially lifesaving body armor and other services for their four-legged K9 officers. Since its inception, Vested Interest in K9s, Inc. provided over 3,100 protective vests, in 50 states, through private and corporate donations, at a value of $5.7 million dollars. For information about Vested Interest in K9s, Inc. visit www.vik9s.org or call 508-824-6978.